The silver light on Bernard’s iron hand flew like silk and intertwined together to form a dense, silver light net, which flew to cover Luo Hao. In the [Ten Times Gravity] field, Luo Hao walked swiftly. He drew many odd arcs in the air with his broadsword to tear the light net in front of him into pieces. Bernard looked normal and didn’t show the slightest bit of fear. Yet he still kept a distance from Luo Hao and kept intertwining the silver light to form silver light nets one after another, throwing them towards Luo Hao. The silver light net was not influenced by the gravitational field. It was still floating in the air, and those which were torn by Luo Hao’s broadsword stuck together again while floating and came around Luo Hao’s body. Seen from afar, Luo Hao seemed to be in the very centre of a broken spider. In the shuttling of his broadsword, those light nets were torn and reconnected again. At the same time, Bernard still kept a proper distance from Luo Hao and never stopped producing more light nets to envelop Luo Hao, who was surrounded by more and more light nets. 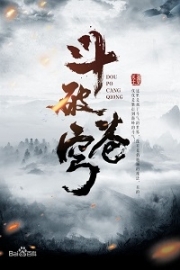 The mercenaries yelled together and began to chase Zhao Xin and Hu Long at the same time. Bernard was so angry that he operated the [Silver Net] with all his might to cover the whole area around Luo Hao, making a final bid for victory. Suddenly, lightning which was as thick as a finger turned into another huge net and fell from the sky, flying towards Luo Hao. Luo Hao was shocked and he turned pale at once. Though he tried hard to wave his broadsword, he couldn’t cut down the new net. There were ten finger-like lightnings glowing an odd light as they twined like magic snakes. 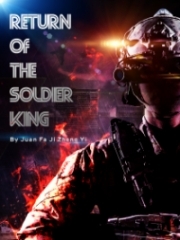 Frightened, Luo Hao immediately wielded his broadsword with all his Profound Qi. Then the broadsword generated a white light which grew into circles and entangled Luo Hao. Those finger-like lightnings came toward Luo Hao. As they b.u.mped into the white circles, electric flashes exploded at once. Luo Hao’s loss of Profound Qi sped up several times compared to before! Under the fierce lightning, his energy was consumed quickly and his face turned extremely pale. 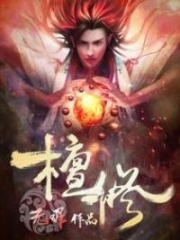 A sharp sword suddenly appeared above his head, filled with the severe smell of slaughter, and struck on the circles surrounding Luo Hao’s body. 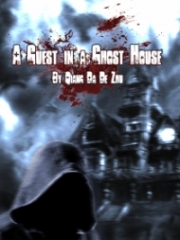 Luo Hao’s body shook greatly and crimson blood gushed out of his mouth. He staggered and stepped back. Bernard’s [Silver Net] took advantage of this to wrap Luo Hao tightly so that he couldn’t move at all. 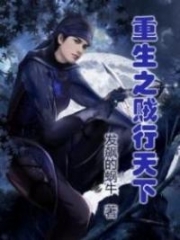 The sharp sword went through Luo Hao’s body, and that Crescent Emissary with a pale mask on his face finally showed up. Alongside him was Mo Chaoge from the Mo family, who walked out from behind an ancient tree with lightning playing between his fingers. The Crescent Emissary got a brutal look in his eyes, as his sharp sword went in and out of Luo Hao’s body thrice. Zhao Xin’s eyes turned red and he cried in deep grief. Arrows flew toward Zhao Xin one after another. His body became like a hedgehog and he fell on ground and died with regret. On Hu Long’s side, arrows were also flying around him. But they seemed to be not as accurate because instead of killing Hu Long, they blocked the people from the Tush Mercenary Union who were chasing Hu Long. “Chase!” The people from the Tush Mercenary Union yelled and began to chase, but only to find arrows falling down from the sky and blocking their way. They turned rigid and realized someone didn’t want them to chase Hu Long, so they searched for that shooter with vicious eyes. Some people with pale masks appeared in the woods, and there were some warriors from the Mo Family among them; they were all having arrows with them and looked serious. “No problem.” The Crescent Emissary nodded. In the past couple of days, the Crescent Emissary from the Dark World had already hooked up with Mo Chaoge, and they had come to a secret agreement. “Why did you kill this guy?” Bernard waved his hand and soon his mercenaries crowded around him. “What kind of business?” Bernard frowned. “Of course money-earning kind! Haha! If you are interested, we can discuss the details. You will not regret it.” Mo Chaoge laughed. Bernard knew they were tough people, and both the Dark World or Mo family from the Merchant Union have a huge influence. The Crescent Emissary and Mo Chaoge, who were in lead, were both at the Disaster Realm, not any lower than him, and those two had come to an agreement. After calculating, Bernard was sure that he could not compete with their joint power and had to step back. Mo Chaoge didn’t reply, but looked to the Crescent Emissary from the Dark World. “Well, let’s go get them.” seeing him nodding, Bernard became relieved. He had seen the brutality of those two people and he didn’t dare ask for trouble. Mu Yu Die crouched and bound up the wound for Shi Yan carefully. With a rigid face, Shi Yan was silent. He sat on the ground and examined the change in the wound on his shoulder, and the purification of Tumu’s Profound Qi in his meridians. He was so focused that he didn’t even take a glimpse at Mu Yu Die. Mu Yu Die questioned secretly, as generally in recent days, Shi Yan looked at her so audaciously without any disguise. But now they were so close and could even smell the scent on each other, Shi Yan didn’t even look at her. She was rather confused. Mu Yu Die was so perplexed and she was not sure about Shi Yan’s real personality. Narrowing his eyes, Shi Yan concentrated on the changes occurring inside his body. The cells of the wound on his shoulder were very alive. Without doing anything, he could sense they were recovering gradually with the aid of the Immortal Martial Spirit. After Tumu’s Profound Qi was purified in his meridians, the odd negative emotions were generated secretly within them. After operating [Rampage], he didn’t have the slightest amount of strength in his limbs and they ached a lot, seemingly not recovering in a short time. This familiar side effect made him uncomfortable but he could do nothing. Di Yalan, who was resting not far from them, regained her spirit and began to search Tumu’s body. “It will explode once shaken and produce starry blades, which are very sharp and would fly in all directions. The impact is so strong that even a Profound Qi shield from a Human Realm warrior couldn’t prevent it. It’s a type of brutal treasure and is very expensive. These three may cost five thousand of black crystal coins!” Di Yalan explained. “Too brutal! Give it to me.” Shi Yan stretched out his hand and asked Di Yalan to hand it to him casually. “Tata! Tatata!” Heavy steps came suddenly. Di Yalan got pale and held her short sword cautiously. Shi Yan pushed Mu Yu Die away a little rudely. He stood up with a grunt with the dagger in his hand, and began to stare at the direction where the sound came. Hu Long, with b.l.o.o.d.y eyes and blood on his chest, staggered toward them. 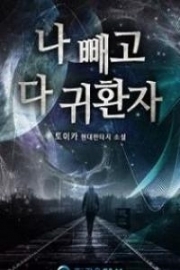 You're Read God Of Slaughter c27 online at NovelOnlineFull.com. You can use the follow function to bookmark your favorite novel ( Only for registered users ). If you find any errors ( can't read,broken links, can't load photos, etc.. ), Please let us know so we can fix it as soon as possible. And when you start a conversation or debate about a certain topic with other people, please do not offend them just because you don't like their opinions. You're reading God Of Slaughter. This manga has been translated by Updating. Author(s): Ni Cang Tian,逆蒼天. Already has 8803 views. Current Time is 18-Apr-2019 12:25:10 PM.